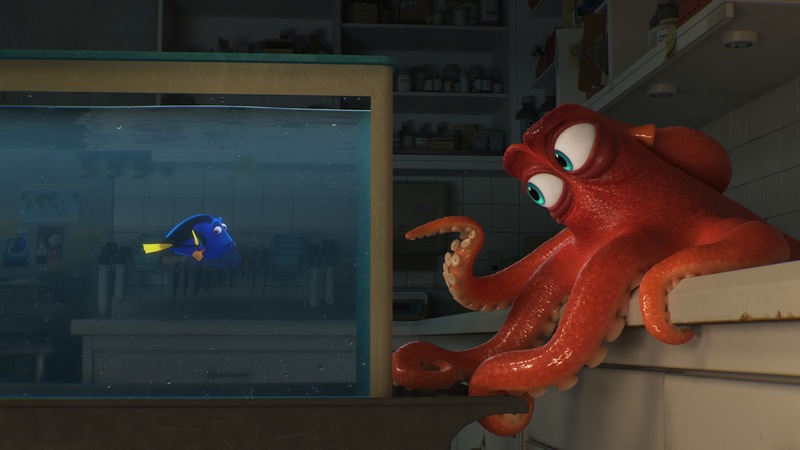 As far as sequels go, "Finding Dory" finds itself in the midst of nearly matching its acclaimed predecessor. The film features a vibrant world that will leave audiences immersed, interesting and funny new characters, and an original story that pulls you in from start to finish. The movie proves to be another Pixar magic hallmark only stymied by an overly extended third act. A year after rescuing Nemi, Dory (Ellen DeGeneres) finds herself living happily in the reef with Marlin (Albert Brooks) and Nemo (Hayden Rolence). 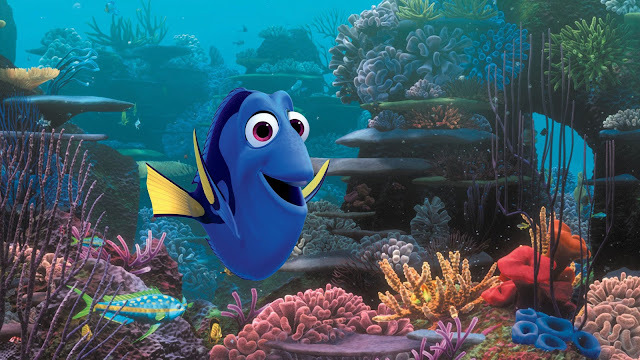 But Dory suddenly remembers a long lost memory - that she has a family out there. She recruits Marlin and Nemo for a life-changing adventure across the ocean to California’s prestigious Marine Life Institute (MLI) - a rehabilitation center and aquarium - and where Dory is from. 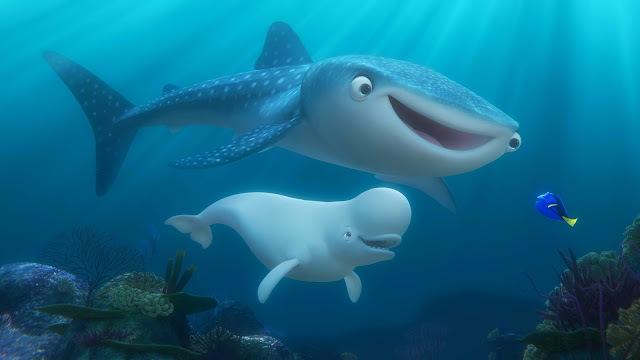 In the effort to find her mom and dad, Dory enlists the help of three intriguing MLI residents: Hank (Ed O'Neill), a cantankerous octopus who frequently gives employees the slip; Bailey (Ty Burrell), a beluga whale who is convinced his biological sonar skills are on the fritz; and Destiny (Kaitlin Olson), a nearsighted whale shark. After thirteen years, we find ourselves looking into "Finding Dory" - sequel to one of the most beloved Pixar films. Knowing its reputation, it would be very hard to match the original. But Pixar knows their craft very well and we found ourselves mesmerized, immersed and mostly having a lot of fun in its 100 minute or so run time. "Finding Nemo" was most acclaimed for its visuals and "Finding Dory" works on this and more. The film features a vast array of aquatic flora and fauna - from vibrant to dark to artificial, the film will always surprise you with stunning and natural-looking CGI. The characters and script was more than top-notch. We found ourselves highly-entertained and laughing out loud countless times - especially from the new characters Hank, Destiny, and Bailey. The overall plot was interesting and original. We loved the aspect of finding out how Dory got lost and how she is piecing together the details of her fragmented memory one-by-one. The penultimate reveal was classic Pixar but the final act was not. It felt out of place and forced. 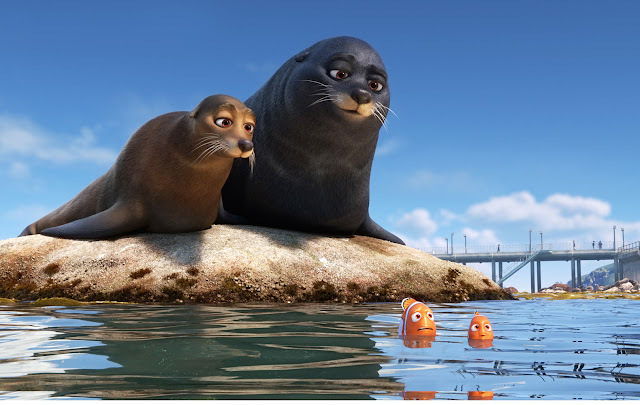 In the end, "Finding Dory" is a film that might lack the usual emotional punch we expect from a Pixar film but it does well enough to entertain and capture both young and older audiences.